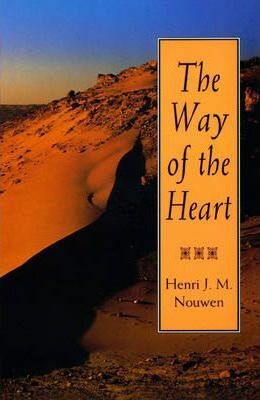 Since it was first published more than twenty years ago, "The Way of the Heart has helped millions of men and women cast off the anger and greed that trouble the world-and find love, compassion, and peace in the heart of God. Inspired by the ancient teachings of St. Anthony and the Desert Fathers, "The Way of the Heart clears before us a spiritual path consisting of three stepping-stones: Solitude (learning not to be alone but to be alone with God); Silence (the discipline by which the inner fire of God is tended and kept alive); and Prayer (standing in the presence of God with the mind in the heart). Distinguished theologian Henri Nouwen brilliantly illuminates each of these disciplines. In reflections that are beautifully clear and practical, as uplifting on the fourth reading as on the first, he helps us separate the wheat from the chaff in our spiritual lives-and reconnects us with what truly matters. Within this one small book lies the most relevant and inspiring challenge that we shall ever face: to surrender the compulsive noise of the world for the way of the heart that leads us to God.